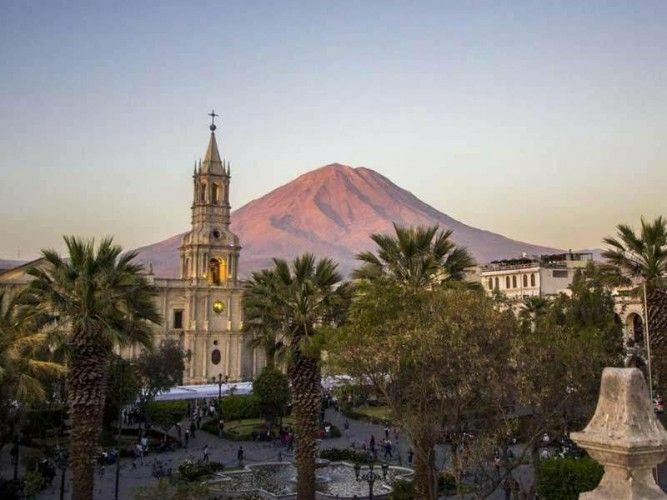 And chosen by the director of the award-winning luxury travel agency Black Tomato, Tom Marchant, Arequipa, Peru’s second largest city, was named the 5th Coolest City in the World. But next to its fantastic gastronomy Arequipa, even though smaller and more navigable than Lima, has to offer much more. Surrounded by a breathtaking Andean landscape and with the impressive Misti volcano sitting in its backyard, the so called “Ciudad Blanca” (White City) as well shines in its “colonial splendor”. Tom Marchant highlights here the city’s main square with its imposing cathedral and the Santa Catalina Monastery. Other cities on the Top 10 Coolest Cities in the World list are: Leon in Nicaragua, Medellin in Colombia, Brazzaville in Congo, Cairo in Egypt, Yogyakarta in Indonesia, Malacca in Malaysia, Puebla in Mexico, Nagasaki in Japan and Addis Ababa in Ethiopia.